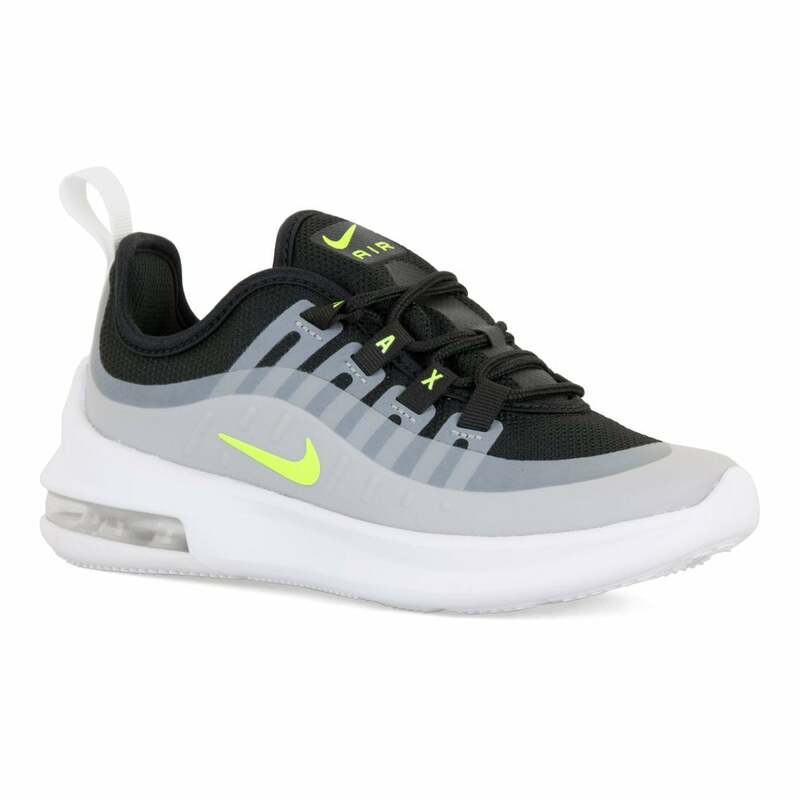 These lace-up Nike Air Max Axis Trainers have a synthetic & textile upper and are black with layered grey panelling. They have a padded textile lining with a pull loop at the heel in white. Nike branding appears on the toe, tongue, heel and textile eyelets and the synthetic sole has visible shock absorbers and a rubber tread on the heel for added grip.